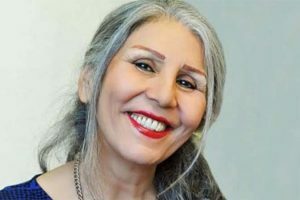 Mahvash Sabet is free now. It takes a special person to weather ten years of torture in an Iranian prison. Mahvash Sabet was a teacher and principal who was fired for being a Bahá’í. Then she helped start an online school because Bahá’í students were not allowed to attend university. Then she was put in prison; at first for twenty years, but that sentence was later reduced to ten. Buy Mahvash Sabet’s book, Prison Poetry, here. in the middle of chaos? like blood in the fields.